The American press announced reports about The Virgin Mary, a British Broadcasting Company (BBC) “documentary” insulting the virginity of Our Lady shortly before Christmas. 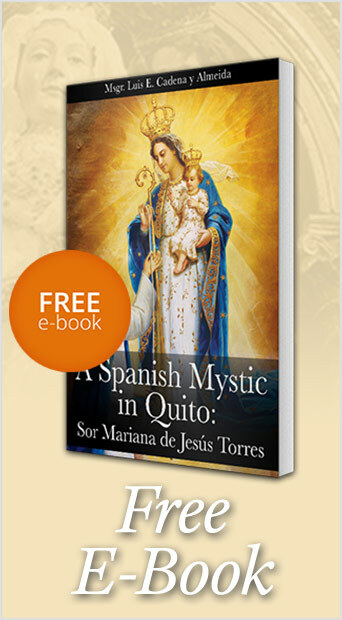 The pseudo-documentary explored three alternatives to the Incarnation of the Word, the perpetual virginity of Mary Most Holy, and the virgin birth of Our Lord Jesus Christ. “The documentary reportedly presents a series of historical theories on Mary’s life including that Jesus was the offspring of a Roman soldier who raped her, or possibly the result of an illicit affair” (Zenit, 12-18-02). The TFP and its America Needs Fatima campaign immediately activated its phone and email protest network. Hundreds were called within 48 hours. Each activist was requested to call BBC to express their rejection for The Virgin Mary program, plus call 10 more friends and urge them to do the same. In this manner, the protest quickly snowballed, and hundreds of TFP supporters and friends called the BBC to complain. On Sunday, December 22, TFP volunteers, and supporting members of America Needs Fatima from the Washington area held a prayer vigil and protest rally in front of the BBC’s American headquarters located in Bethesda, Maryland. It was a signal victory to know that our combined protest against The Virgin Mary made it the most protested program of the year in the U.K. “More than 500 people protested to the BBC about last night’s controversial documentary on the Virgin Mary, making it the year’s most complained about programme.” (The Guardian, 12-23-02). Hopefully, The Virgin Mary will not show in the United States. But if it does, the TFP is prepared to lead an even larger and more expressive public protest and act of reparation.